Central London is surrounded by a ring of elegant country estates which offer a slice of living history and a steady flow of contemporary events. From Syon Park in the West to Eltham Palace in the East, these stately homes are living history and celebrate the city's great past. Originally the London residence of the first Duke of Wellington, Apsley House was designed and built by Robert Adam between 1771 and 1778 and retains some of the finest Regency interiors around. The house formed the elegant backdrop to a host of glittering banquets which mirrored the rise in status of the Duke. Held in the opulent Waterloo Gallery, the feasts were a decadent and raucous annual celebration of the Duke's landmark victory at Waterloo. 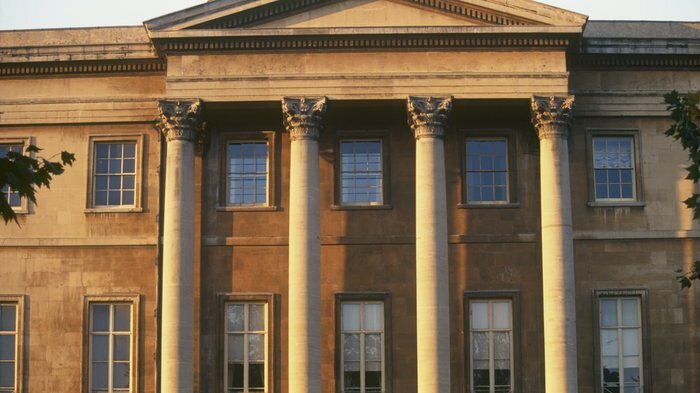 The Wellington family still reside in the property to this day making Apsley House the only property managed by English Heritage in which the original owners' family still live. The property is colloquially known as 'Number 1 London', because it was the first house encountered after passing the tollgates at the top of Knightsbridge. The Duke's former abode is today home to paintings by Velazquez, van Dyke and Rubens as well as an unrivalled silver and porcelain collection. A former royal residence and stunning example of classical 18th-century design, Chiswick House originally belonged to the "architect Earl" Lord Burlington, an avid traveller and lover of Italian architecture. The Palladian revival house assumes the guise of an octagonal domed villa, allegedly inspired by the Villa Capra "La Rotonda" outside Vicenza. The building's simple, pure exterior acts as a counter-point to the rich, elaborate interior, created by William Kent - The Blue Velvet Room, with its elaborate, gilded decoration and intricate ceiling paintings, is particularly worthy of note. A diverse series of portraits, paintings and prints enable visitors to piece together evidence about the Burlington family, whilst also enjoying some notable examples of fine, Old Master paintings. A triumph of the Golden Age of landscape gardening, Lord Burlington's summer palace is set in acres of immaculately created parkland, full of hidden temples, lakes, greenhouses and Italianate statues. An Inigo Jones gateway leads onto these spectacular grounds, immortalised by the poet Alexander Pope as embodying the greatness of England. Free to visit and accessible to all - with the exception of the steep Terrace Walk - the grounds and Chiswick House Cafe are as much of an attraction here as the house itself. The walled Kitchen Garden at Chiswick House, dating from 1682, holds weekly drop-in sessions for local school children, runs teenagers' Duke of Edinburgh sessions and three or four open days a year (April to September) for anyone who wants to take a look. Restored by English Heritage, this fantastic house boasts Britain's finest Art Deco interior and offers visitors the chance to indulge in the opulence of 1930s Britain whilst at the same time experiencing the solidity and symbolism of medieval London. Eltham Palace began to evolve during the 15th century when Edward IV commissioned the Great Hall, which survives today as a testament to the craftsmanship of the period. It boasts the third largest hammer beam roof in the country and hosted many royal occasions, including Christmas festivities for Henry VIII who grew up at Eltham Palace. Henry VIII was the last monarch to spend significant time at Eltham Palace before it fell into disrepair. Many of the buildings were demolished and the site was used as a farm. In the 1930s the Courtaulds, a wealthy couple, acquired the site on the understanding that they would repair and maintain the medieval Great Hall. They added a stunning Art Deco house, equipped to meet their every need, which boasted unique interior design and furnishings, coupled with the latest technology. This masterpiece evokes the style and glamour of the 30s and is complimented by lush landscaped gardens, including a moated area, the remains of Henry VIII's hunting park, and a sunken rose garden. Visitors can enjoy the fascinating blend of medieval and modern design in the Great Hall and the 1930s house, explore the gardens and moated area, and have tea in the 1930s kitchens. Set in the winding streets of Hampstead Village, the National Trust-owned, late 17th-century Fenton House contains an outstanding collection of porcelain, needlework pictures and Georgian furniture. It also boasts the Benton Fletcher Collection of early keyboard and musical instruments, most of which are in working order. Completed in 1693 and bought by Philip Fenton, a Baltic merchant, in 1793, Fenton House has remained relatively untouched through the years - and on the first floor boasts that rare gem of a London drawing room still with its 18th-century appearance. The main dining room is now used for concerts and contains the biggest harpsichord built in England. The delightful walled garden includes terrace walk, a sunken rose garden, a 300-year-old apple orchard, a working kitchen garden and a dogs' graveyard. There is a bee colony in the orchard producing honey for sale, while Fenton's panoramic views over London are quite marvellous - and best appreciated from the merchant house's attics which are open to the public. Perched on the edge of the River Thames and first built in 1610, this ornate but almost melancholic Stuart mansion combines extensive formal gardens with a lavish interior that belies the house's historical significance. In 1626 Ham House became the property of William Murray, a lifelong supporter of Charles I, and thus emerged as a hotbed of Civil War politics and Restoration court intrigue. Boasting important collections of textiles, furniture and paintings, a celebrated Cherry Garden and a formal listed avenue of over 250 trees, the house and grounds have hardly changed since conception. An extension was carried out in 1672, making Ham House one of the first houses with a 'modern' promenade of so-called state rooms on the first floor. As the historian Simon Jenkins says, "no London house so embodies the transience of greatness. No suburban estate presses close." The delightful gardens are said to contain the oldest Christ's Thorn bush in the country as well as numerous mighty oaks. The mansion's occupants have also changed little over the years - Ham House is reputedly one of the most haunted houses in Britain. Kenwood House is closed for refurbishment and will reopen in November 2013. In the meantime, the cafe and estate remain open. A rich collection of famous paintings are housed within the walls of this neo-Classical villa perched by a lake on top of Hampstead Heath. Works by Rembrandt, Vermeer, Turner, Reynolds and Gainsborough form the famous Iveagh Bequest, handed down to the state by the owner of Kenwood House, brewing magnate Edward Cecil Guinness. Remodelled between 1764 and 1779 by Robert Adam , Kenwood features a lavish library and elegant array of rooms which provide a fitting backdrop for this notable artistic collection. Spectacular views and woodland walks provide a fitting backdrop for the house itself. Now run by English Heritage, Kenwood House is "London's most smiling mansion" according to the journalist and historic house aficionado Simon Jenkins. Hugely popular summer concerts take place in the grounds most years. The quartet, who gained popularity on YouTube for classical crossover covers of popular songs, performs a rip-roaring set of new and old works. Hailing from Camden, the ska septet continues to perform with its most recognised line-up led by Graham 'Suggs' McPherson, complete with a full orchestra and very special guests. A farewell from the Spanish tenor as he performs with the Royal Philharmonic Concert Orchestra, conducted by David Gimenez and featuring Chrissy Johnston. The waterside Palladian villa, Marble Hill House, was built for Henrietta Howard, the mistress of King George II when he was Prince of Wales. Set between Richmond and Hampton Court, and now owned by English Heritage, it is surrounded by 66 acres of parkland and is a stunning example of Andrea Palladio's work, his weakness for classical Roman architecture is evident in the elegant columns and symmetric proportions. Built between 1724 and 1729, the house was fashioned by Howard into a soothing, cerebral retreat from the hustle and bustle of 18th-century London life. Attracting literary wits and scholars, the house soon acquired a reputation for sophistication and new-thinking. The well-preserved interior - planned around the Great Room, whose grand ceiling rises through the upper two storeys of the house - now boasts notable collections of Georgian furniture and architectural paintings by Panini, while the grounds provide a soothing backdrop for summer concerts. The magnificent Osterley House was originally built in 1576 before the renowned architect Robert Adam was commissioned two centuries later to transform the original Tudor mansion built into an elegant 18th-century neoclassical villa. Osterley is the result: a true masterpiece of a country house for the founders of Child's Bank, created for entertainment and to impress friends and business associates. By linking the north and south wings with a pedimented loggia enclosing the courtyard, Adam enhanced the symmetry of the redbrick exterior, "which now floats like a shop on a sea of grass," according to the architectural historian Simon Jenkins. The superb interiors - one of Britain's most complete examples of Adam's work - contain some wonderful plasterworks, carpets, furniture and an interesting kitchen. Dubbed "the palace of palaces" and owned by the National Trust since 1949, Osterley is set in 140 acres of landscaped park and farmland complete with 18th-century gardens, ornamental lakes, pleasure grounds and neoclassical garden buildings. The wonderful 16th-century stable block survives largely intact although the house itself is badly neglected, with its blinds almost always drawn. The William Morris-designed Red House in Bexleyheath was once described as "the beautifullest place on earth" by Sir Edward Burne-Jones, whose paintings are on show inside the National Trust-owned property. Designed by Philip Webb in 1859 and built as an architectural embodiment of an aesthetic ideal, this enchanting redbrick house set in orchards and away from the city is a building of extraordinary architectural and social significance. The original features and furniture by Morris (founder of the Arts & Craft movement) and Webb, stained glass and paintings by Burne-Jones, the bold architecture and a garden designed to 'clothe the house', make the Red House both a fascinating and rewarding place to visit. Secreted behind high walls in Wimbledon, Southside House is locked in the past. Originally a Tudor farmhouse, little has changed since the renovations completed in 1685 by Robert Pennington. His descendants (the Pennington Mellor Munthes) still live there today trapped in an endearing time-warp, using candles for light and open fires for warmth. Painstakingly restored after World War Two, the house is wonderfully eccentric in taste, if a little dilapidated and haywire. Steeped in family history, every room is crammed to the rafters with exquisite treasures and artwork. The dining room alone exhibits a number of Van Dyck paintings, while upstairs in a cabinet you will happen upon the pearl necklace worn by Marie Antoinette on the day of her execution. There are associations with Anne Boleyn and other members of the Royal Family, making this house unquestionably well connected. Upstairs boasts perhaps the smallest chapel in London, while the grounds are a labyrinth of hidden pathways and secret gardens that bloom into thousands of colours in spring. Tours are available throughout the summer months - and numerous events take place inside the intriguing walls. This sinister Gothic castle is an exotic concoction of mysterious turrets, gilded ceilings and dazzling stained glass windows. Starting life as an unassuming cottage in Twickenham, Strawberry Hill House was bought by Horace Walpole - the son of England's first Prime Minister - in 1749 and was transformed from an orderly Georgian idyll into a magnificent Gothic mansion. Between 1747 and 1792 Walpole, a compulsive collector, doubled its size and in doing so sparked a Gothic revival, establishing a taste for fireplaces and gilded ceilings like mediaeval tombs and vaults, painted glass with rustic and biblical scenes and heraldry. Further additions were made by the Countess Waldegrave in the 19th century. Described by Walpole as "a little plaything house," Strawberry Hill House has been restored with generous support from the Heritage Lottery Fund and World Monuments Fund amongst others and re-opened for the first time in 2010. Open from March to November each year, the house also has a shop and café, plus boasts year-round programme of events including twilight tours, lecture suppers, exhibitions and family activities. Private home of the current Duke of Northumberland, re-modelled by architect Robert Adam. The working London home to the Duke of Northumberland, Syon House is set within a 200-acre park and located on the site of a medieval abbey dissolved by Henry VIII. Designed in the neoclassical style by Robert Adam, the interior of the present building is said to represent the quintessence of Adam's style and, in particular, his revolutionary use of colour. Royal visitors to the property include Charles I, Henry VIII (whose body was stored in Syon en route to Windsor for his burial, only to burst, providing an impromptu meal for a pack of courtyard dogs), Princess (later Queen) Victoria and members of the current royal family; public visitors can access the private apartments and bedroom used by Queen Victoria when she was a princess. Dating back to the 16th century, Syon Park Gardens were later landscaped by 'Capability' Brown. Today, they feature a Great Conservatory, Flora's Lawn, an 18-century ice house and over 200 species of rare trees. Food & Drink, Drink & Tastings. As far as royal residences go, the Queen's House is a modest palace - an appealing, but simple, bright white, classical, Palladian villa flanked by colonnades. Its understated appearance, however, belies its immense historical significance. Built in 1616 by Inigo Jones for Anne of Denmark - the wife of James I - the Queen's House was the first neo-classical building seen in England. Originally conceived as a hunting lodge and addition to the Palace of Greenwich, it also acted as a bridge spanning the public road to Deptford, which divided the park in two. Despite revolutionising Jacobean architecture, the house itself was not get finished until 1635 when it became home to Charles I and his Queen, Henrietta Maria. The house went on to survive tumultuous times. Queen Anne died before it was completed, shortly after Civil War broke out, and Oliver Cromwell stripped the Stuarts of the residence and its many treasures. 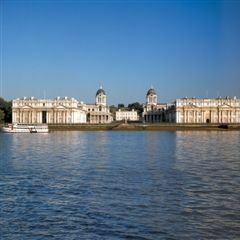 It is now used by the National Maritime Museum to exhibit paintings of illustrious seafarers and historic Greenwich. The Stuart 'Tulip Staircase' - purported as the first spiral staircase in Britain - has been reinstated and takes its name from the beautiful floral patterning on the wrought-iron balustrade. Some faded painted panels remain on the ceiling of the Royal bedchamber while the cuboid Great Hall is swathed in impressive computer-enhanced copies of Gentileschi frescos. For the valiant among you, the Queen's House is notoriously haunted and photos of shrouded figures ascending the spiral stairs are thought to be legitimate. More recently, the Queen's House was the stunning backdrop to the London 2012 Olympic equestrian events. From cheap budget accommodation to luxury 5 star suites see our deals for hotels, including Hilton London Euston Hotel from 50% off.